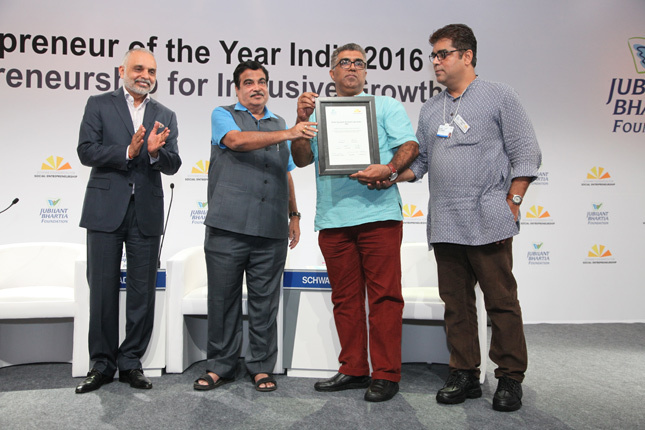 The Schwab Foundation for Social Entrepreneurship, a sister organization of the World Economic Forum, in partnership with the Jubilant Bhartia Foundation announced Mr Neichute Doulo, Entrepreneurs Associates (EA) as the winner of the Social Entrepreneur of the Year - India 2016. 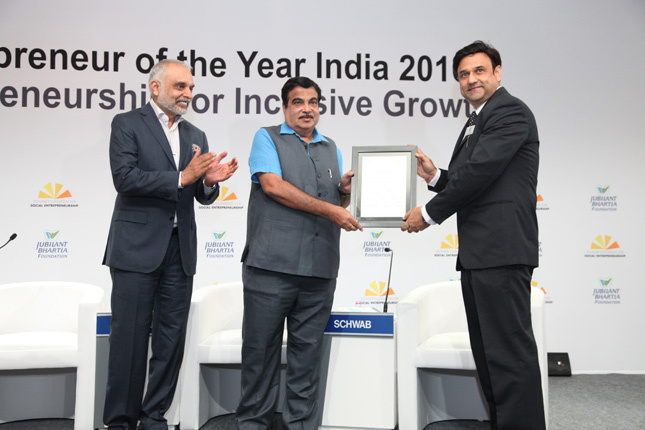 The awards were conferred by Mr.Nitin Gadkari, Minister of Road Transport, Highways and Shipping of India in the presence of over 300 participants at a high-level celebration in New Delhi. 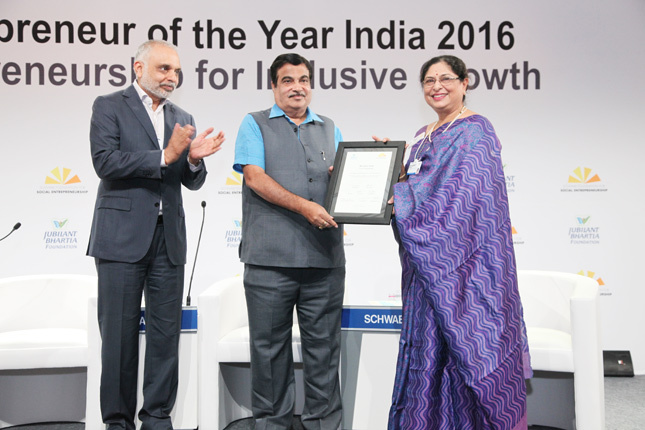 The award ceremony also served as the welcome dinner of the India Economic Summit organized by Confederation of Indian Industry (CII) and the World Economic Forum (WEF). 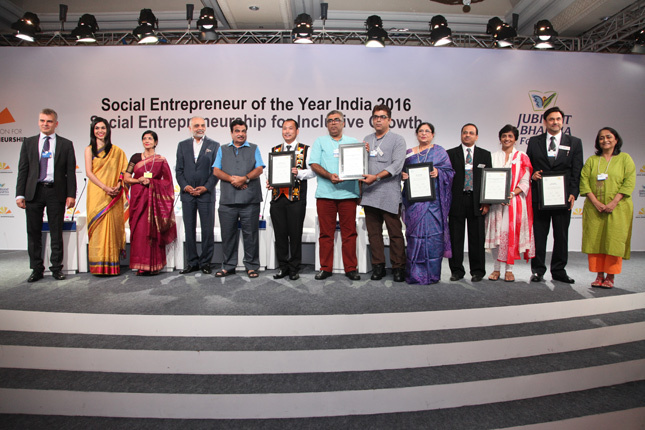 Mr Neichute Doulo of Entrepreneurs Associates (EA) was awarded as the Social Entrepreneur of the Year for his work in promoting entrepreneurship and peace building in north-eastern India. The Naga movement, one of the oldest unresolved armed conflicts in the world, has hampered economic development in the region. 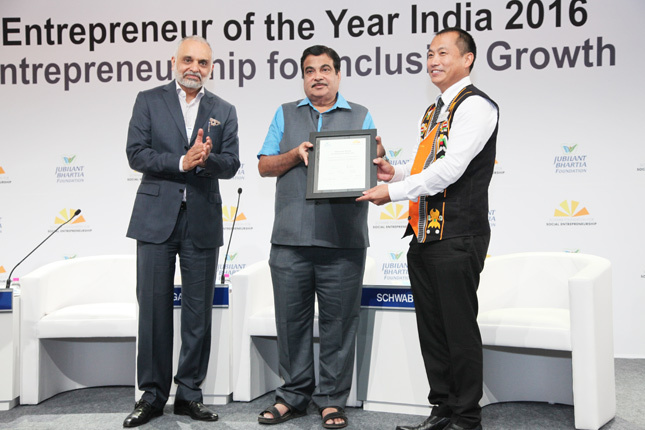 For over 20 years, EA has successfully launched the first generations of Naga and Manipuri entrepreneurs, built up vibrant local markets, catalysed local production, generated local jobs, activated financial institutions and steered government will to demonstrate that entrepreneurship can be the route to peace building. 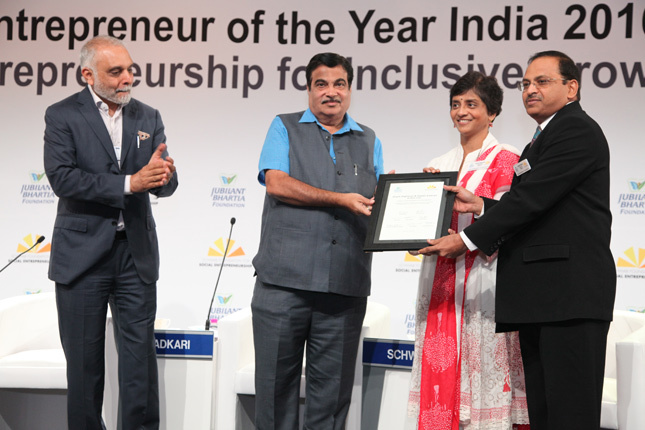 Of over 100 applicants considered at this year’s Social Entrepreneur of the Year selection process for India, five finalists emerged after several stages of rigorous assessment. More than 21 million people are disabled in India, accounting for 2.1% of the total population. Due to multiple factors – low education levels, inaccessible work spaces and minimal job openings – a majority remain economically unproductive. EnAble India (EI) is rapidly building the Indian ecosystem of skilling, employment and entrepreneurship for persons with disabilities. Over the last 15 years, EI has transformed the lives of 132,000 individuals with disabilities, families, community leaders and employers. Today, 30% of urban Indians and 90% of rural households depend on untreated surface or groundwater with high contamination levels for their drinking and cooking needs. Water Health India (WHIN) sets up networks of decentralized, community water purification systems to provide safe, high quality and affordable water to underserved rural and urban communities. For over 10 years, it has successfully installed more than 400 Water Health Centers, which serve 5 million consumers across 1,800 villages and urban local bodies. Around 84.5 million of India’s youth live below the poverty line (the highest in the world), accounting for 44.2% of the total youth population. For over 20 years, Yuva Parivartan has been making employability and skill training accessible and affordable to the large segment of India’s BPL youth who live in remote and hostile regions. Every year, over 100,000 youth across 18 states access YP’s training programmes. About 60% are placed in jobs or set up their own ventures, with average incomes increasing by a favourable 32%. ZMQ builds “technology for change” programmes and puts them in the hands of rural communities to increase their access to, and uptake of, critical health, education and livelihoods services. By collaborating actively with governments, international agencies, technology service providers, telecom companies and grassroots players, ZMQ has impacted 22 million lives across India, Afghanistan, six African and two Latin American countries.